Remarks: Records since 1867. Some marriages (especially pre-1926) were not filed with the state. Marriage records are not restricted so anyone can order. To request an application the telephone number is (517) 335-8656. This will be a recorded message. To speak to a customer service representative the telephone number is 517-335-8666 and press option #4. 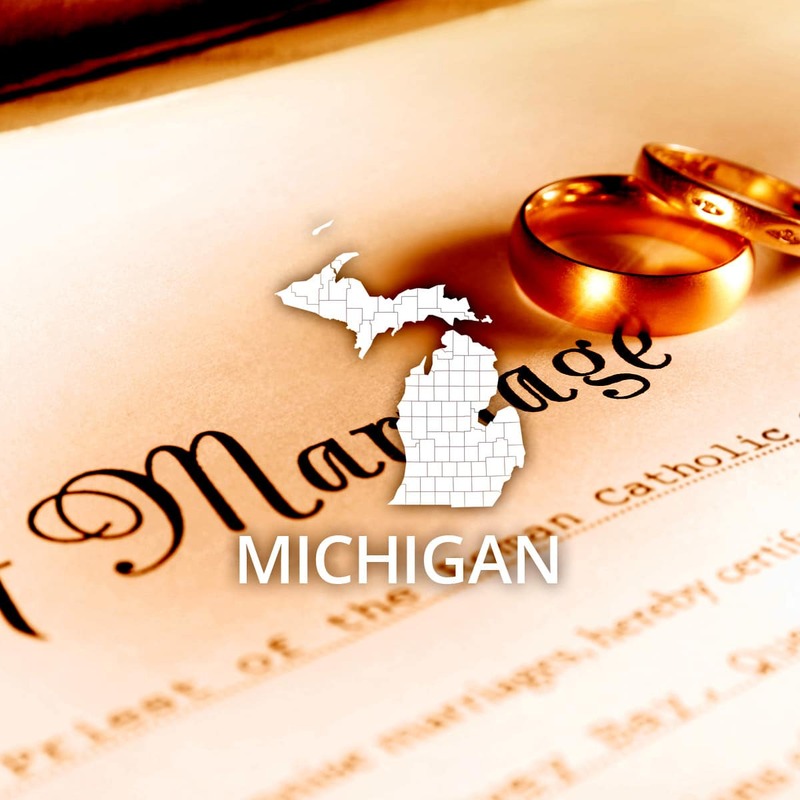 Information on how to obtain certified copies is also available via the Michigan Department of Health & Human Services website. Event: Marriage (County) Cost of copy: Varies Address: See remarks Remarks: County Clerk in county where license was issued.